A quick post today to wish all my Indian friends and their family Happy Diwali! Have a wonderful year filled with Love, Peace, Prosperity and Happiness! 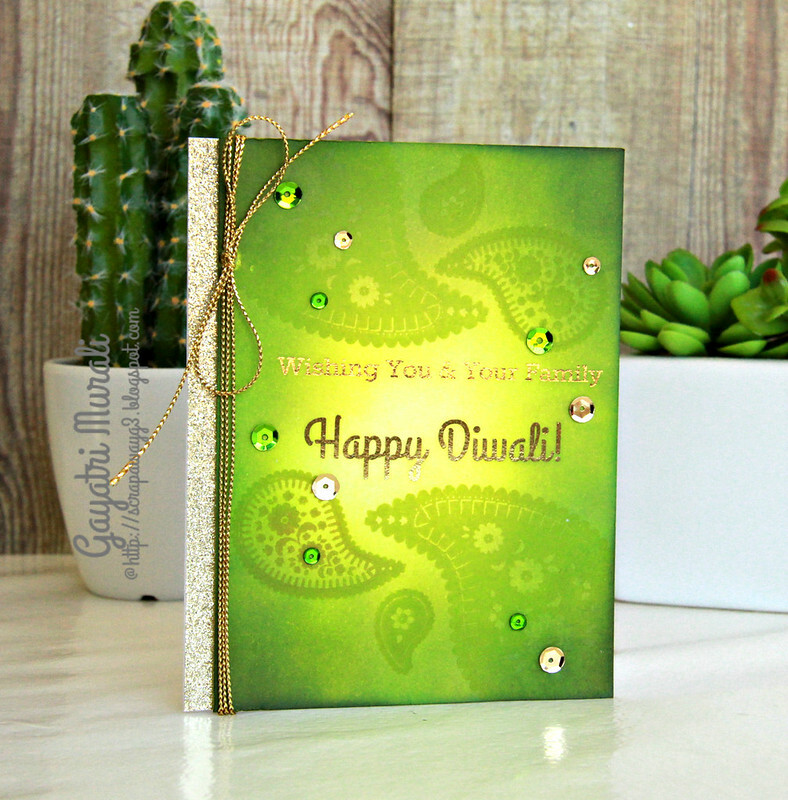 Here are my Diwali cards for this year. 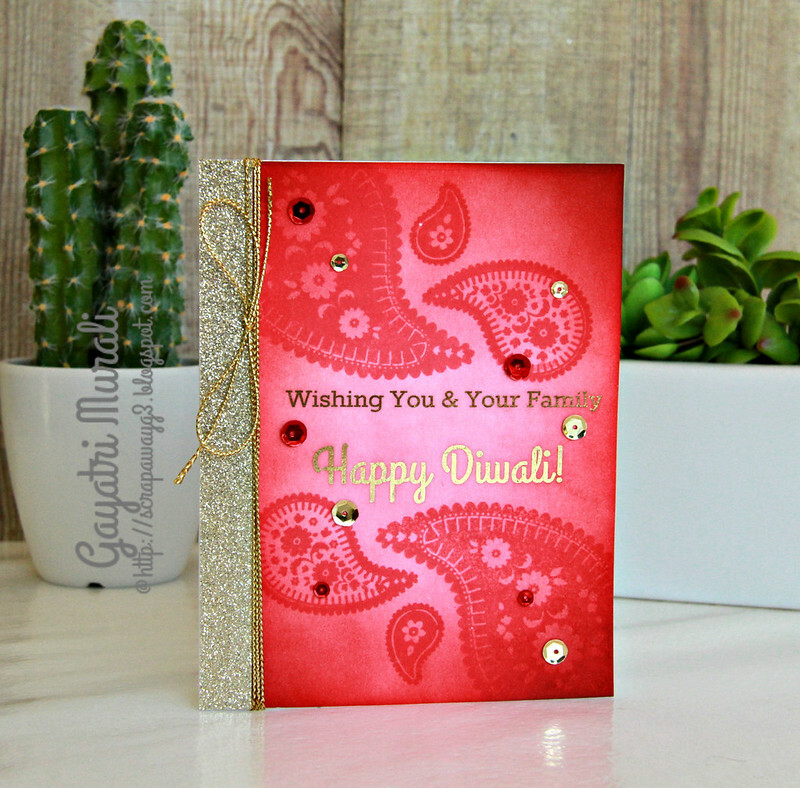 I kept to the traditional colours, paisley design with gold foiled sentiment. 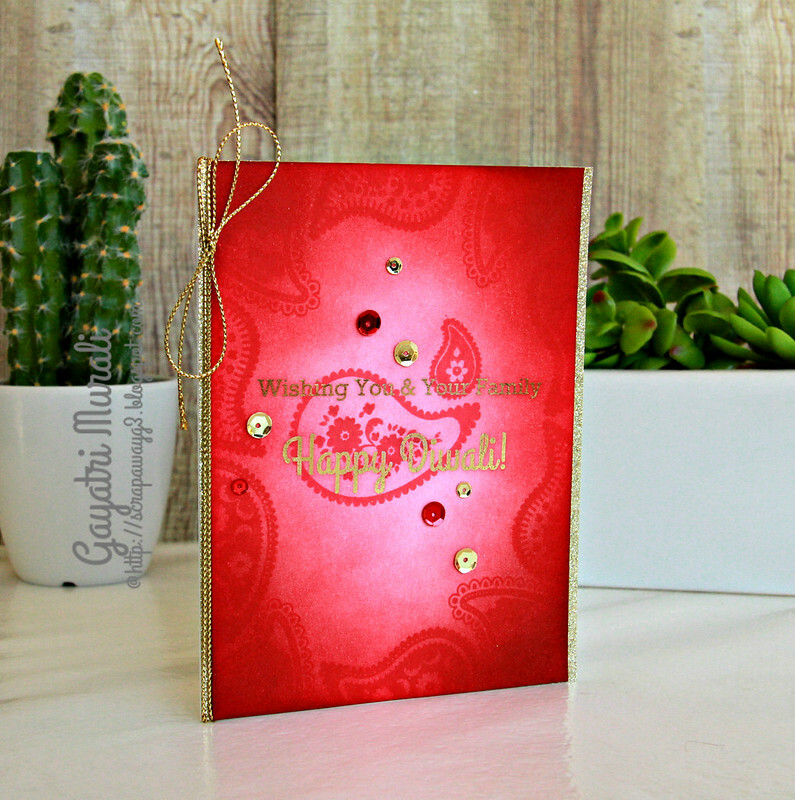 I also added gold glitter paper and gold twine to add the festive look to the card. Embellished with Pretty Pink Posh sequins. Have fun, enjoy and play safe! Happy Diwali Gayatri! All cards are absolutely gorgeous.. love the antique gold twine.. Happy Deepavali Gayatri. Your cards are fabulous. Hope you all get to enjoy the wonderful holiday. What a lovely set of cards, each one has it's own pretty details. I especially like the festive gold vertical panels! Well done!